NASSAU, Bahamas – The Bahamas government says it will persevere with the economic reforms despite the US-based international credit rating agency Moody’s Investors Service downgrading the country’s issuer and senior unsecured ratings to Baa2 from Baa1. The Perry Christie government said Moody’s has identified the key drivers of the downgrade as the “continued deterioration of the government’s balance sheet, with debt and interest burdens that now exceed those of most Baa-rated peers” and “subdued economic growth, which has been an important factor in the weakening of the government’s balance sheet”. 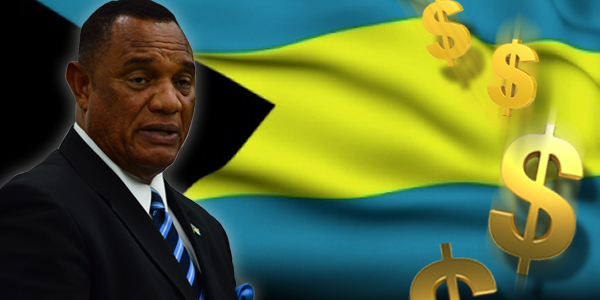 But the government said it “must be stressed that the Bahamas Government’s credit rating remains at investment grade” noting that the reforms which it had embarked upon “ are indeed expected to have the intended outcome of reducing the deficit and supporting a “gradual reduction” in the government’s debt burden over the coming years. “As Moody’s expectations underscore, on this course of action the Bahamian economy should strengthen, despite worries to the contrary in some quarters about the merits of the fiscal plan,” the statement said, adding “the government of the Bahamas must persevere with these reforms”. Moody’s said downward pressure on the Bahamas’ rating could arise if the economy underperformed and negatively impacted government revenues, “thus complicating the fiscal consolidation process”. Moody’s said an expansion of public spending that would hinder consolidation efforts would also be credit negative. In addition, it said the “crystallization of contingent liabilities from debt held by public sector corporations that required government intervention would result in a loss of creditworthiness for the sovereign”.